Working with The City of Madison’s Parks and Recreation Department, we conducted community engagement sessions with youth in Madison Wisconsin about the development of park spaces within The City. 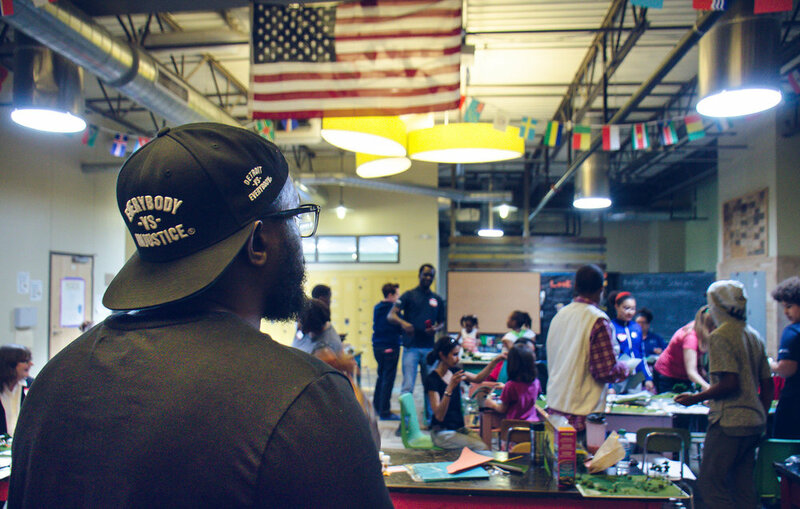 BrandNu Design teamed with Madison Public Library to conduct a series of Hip Hop Architecture Camps to design a new teen space at Goodman Public Library on The City’s Southside. BrandNu Design organized and conducted community design charrettes for The Universal Hip Hop Museum in five cities using our unique Design Cypher approach. The Hip Hop Parkitecture Workshop is an extension of The Hip Hop Architecture Camp™. This project was led by BrandNu Design in partnership with The Urban Arts Collective. The Hip Hop Parkitecture Workshop was created for The City of Madison's Park and Recreation Department to engage underrepresented youth in the design and planning of the future of City Parks.